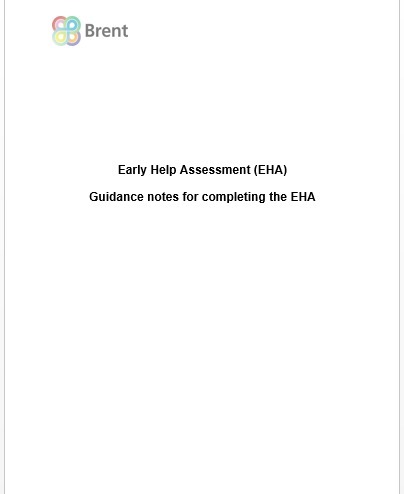 The Common Assessment Framework (CAF) has been replaced by the Early Help Assessment (EHA). The CAF has been simplified and changed to reflect the Signs of Safety (SoS) approach, which will help ensure that families get the right help, at the right time, and as quickly as possible. There has been a delay in development of the portal technology to enable the EHA to be submitted online. 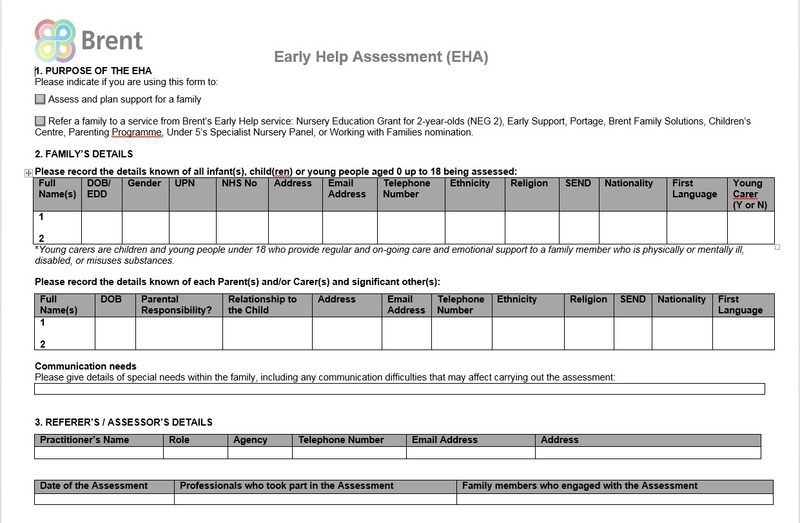 In the interim professionals are required to complete the attached EHA in a document format and email it to: EHA@brent.gcsx.gov.uk. You will then be contacted by a member of the team to confirm the next steps within five working days following submission of your EHA. What training and support is available to help me complete an EHA? Alternatively training can be delivered at your setting if there are 5 or more professionals to be trained. For further information about EHA training, or to discuss your service’s training needs, please contact the EHA Training and Support Officer.